A large 22 oz. 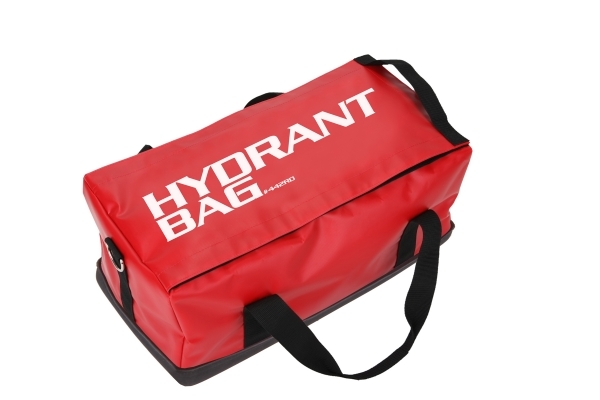 vinyl bag designed to hold all of the equipment you need for a hydrant operation. The VELCRO® Brand closure on top allows for quick access with your gloves on. This bag will hold large gated valves, wyes, wrenches, reducers, etc. A high density padded bottom helps to protect equipment. The molded TUFF Bottom provides an almost indestructible base. Measures 24"L x 12"W x 9"H with 2,600 cu. in. of space. Color: Red. Wt. 36 oz.